...That NUMEC was a front operation, following in the footsteps of Israel’s 1940s-era conventional weapons smuggling operations from the US such as Martech, Service Airways, and the Sonneborn Institute, is well-known by the FBI and CIA. Both have released extensive archives of intelligence reports and surveillance photographs of Israeli conventional weapons smuggling from the United States through overseas networks. But both FBI and CIA have fought attempts at full disclosure of clandestine Israeli nuclear weapons related activities in the US, ostensibly because such smuggling has been unpunished and unabated. It is also US policy, under penalty of prosecution, that no federal agency may admit that Israel has nuclear weapons or release information about its program. A February 2015 lawsuit seeking all of the CIA’s "thousands" of files about NUMEC was ended when the presiding judge refused to allow adding the US Department of Justice – which has worn many hats in the NUMEC affair – as an additional defendant. However some CIA documents were released during the court battle, revealing how the CIA had refused to cooperate with two separate FBI investigations of NUMEC, preferring to cover up damning information obtained from clandestine CIA operations in Israel confirming the diversion. The Gallup Organization was criminally charged in 2012 under the False Claims and Procurement Integrity Acts. 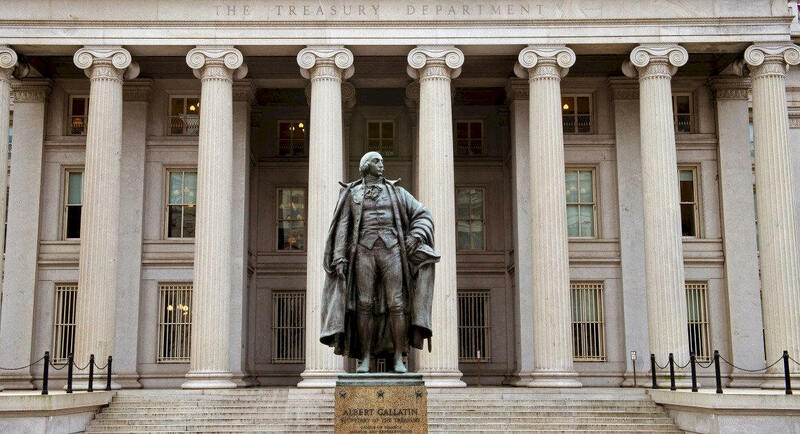 The False Claims Act is the primary tool the U.S. government uses, leveraging insider whistle-blowers, to combat contracting fraud against the government. An uncontested 57-page complaint (PDF) reveals that Gallup intentionally delivered deceptive data to the US Mint, the US Department of State, and DHS (FEMA) to maximize profits on a series of no-bid contracts. Among other acts alleged in the complaint were keeping two sets of books and making job offers to federal employees in positions to renew Gallup’s lucrative government contracts. 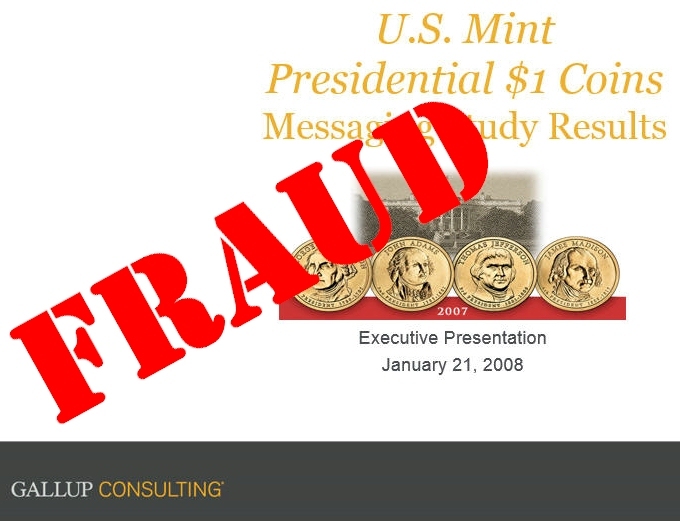 Gallup’s history and a review of Gallup’s actual US Mint work product – obtained from the US Treasury under the Freedom of Information Act and made available for the first time online – reveals Gallup’s willingness to secretly engage in fraud to protect lucrative serialized polling contracts. This company culture should raise questions about Gallup polls in categories where there is no similar polling for verification purposes or where Gallup results are inexplicably wildly at odds – over long time periods – with other pollsters. ...How do most Americans feel about this immense diversion of wealth and carnage? 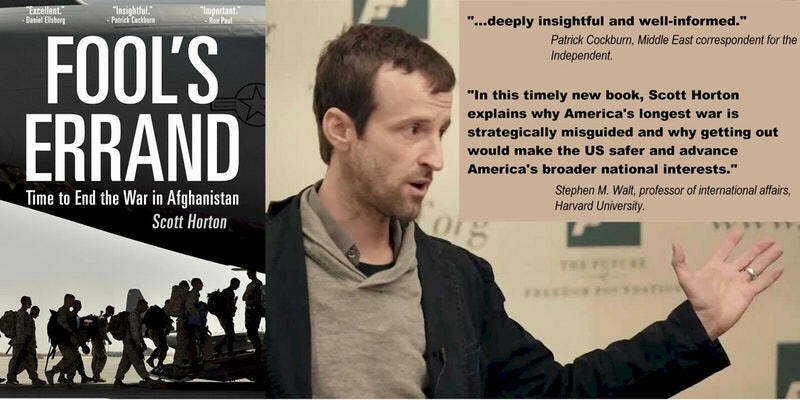 When asked, "Brown University says the ‘global war on terror’ caused 480,000 deaths, uprooted 21 million & cost more than $6 trillion. 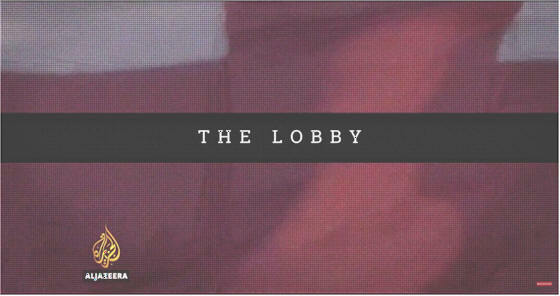 Did US elites improperly exploit 9/11 for gain?" a surprisingly high percentage – roughly a third – of Americans replied that "Yes, elites did exploit 9/11 for gain." Question #1: Brown University says the "global war on terror" caused 480,000 deaths, uprooted 21 million and cost more than $6 trillion. Did US elites improperly exploit 9/11 for gain? 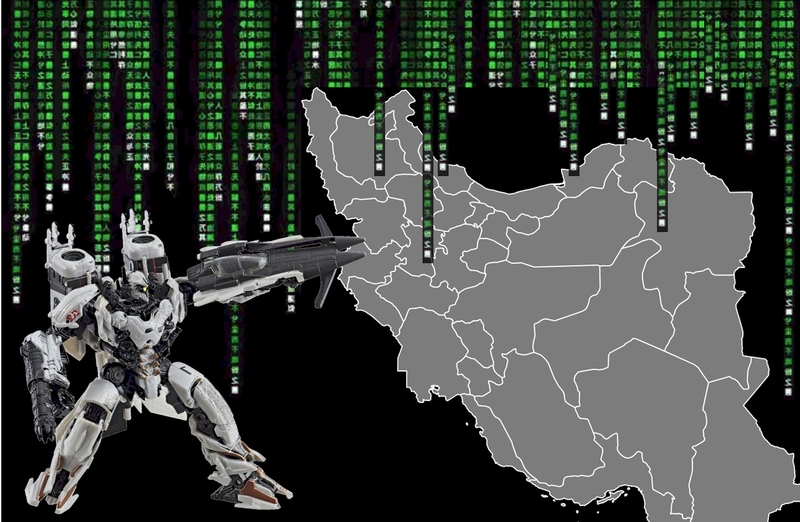 ...The development of secret offensive cyber warfare programs targeting Iran are included in MIP and NIP budgets. According to the 2016 documentary Zero Days by director Alex Gibney, Israel’s incessant public threats to attack Iran coupled with intense secret demands for cyber warfare targeting Iran were the catalyst for massive new US black budget spending. "Our belief was that if they [Israel] went on their own, knowing the limitations…No, they’re a very good air force, alright? But it’s small and the distances are great, and the targets dispersed and hardened, alright? If they would have attempted a raid on a military plane, we would have been assuming that they were assuming we would finish that which they started. In other words, there would be many of us in government thinking that the purpose of the raid wasn’t to destroy the Iranian nuclear system, but the purpose of the raid was to put us [the United States] at war with Iran." RICHMOND, Va., Oct. 23, 2018 /PRNewswire/ -- A plurality of Virginians (38.1%) favor ending taxpayer funding for Israeli business ventures in the commonwealth according to a Virginia Coalition for Human Rights (VCHR) poll fielded by Google Surveys. 32.7% of Virginians were neutral about discontinuing subsidies, while 29.2% disagreed. The representative September 22 to October 4 poll of 2,110 Virginians is available online from Google. Flashpoints host Dennis Bernstein and IRmep's Grant F. Smith discuss secret presidential pledges to Israel designed to subvert Arms Export Control Act enforcement. Israel is the only nuclear power on Earth that enforces a vow of silence on U.S. presidents from both political parties. 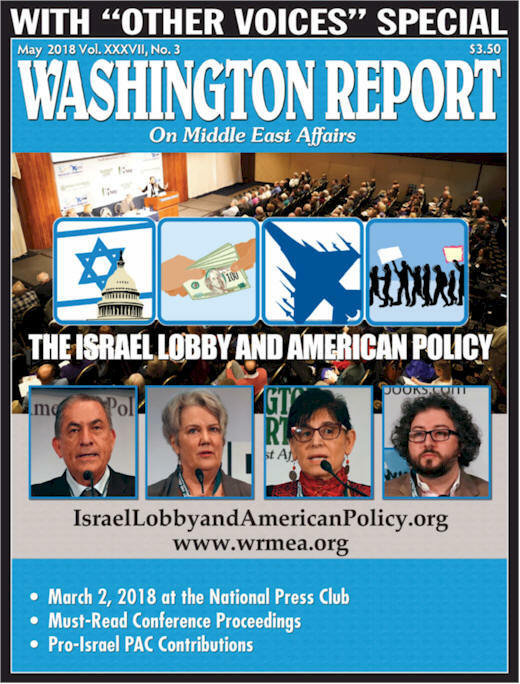 The Washington DC-based Institute for Research on Middle Eastern Policy has filed suit in federal court to make public letters that the New Yorker magazine says every president since Bill Clinton has signed, promising to never publicly discuss Israel’s arsenal of nuclear weapons or to pressure Israel to sign the Nuclear Non-Proliferation Treaty. We spoke with Grant Smith, director of the Institute, and asked him, "How could it be that, for two generations, all discussion of Israeli nukes has been forbidden in official Washington?" The Israelis have illegally collected more than $100 billion in US aid in violation of laws against giving money to nations that have not signed the Nuclear Non-Proliferation agreement, said Grant Smith, of the Institute for Research: Middle Eastern Policy. The Institute has filed suit to make public letters it believes exist in the Clinton and George W. Bush presidential libraries, agreeing never to discuss the existence of Israel’s nuclear arsenal in public. Podcast audio. Although OTFI proclaims it is "safeguarding the financial system against illicit use and combating rogue nations, terrorist facilitators, weapons of mass destruction (WMD) proliferators, money launderers, drug kingpins, and other national security threats," the secretive office has a special blind spot for major terrorism generators, such as tax-exempt money laundering from the United States into illegal Israeli settlements and proliferation financing and weapons technology smuggling into Israel’s clandestine nuclear weapons complex. Governmental lying by omission involves intentionally leaving out important facts to foster broad popular misconceptions. 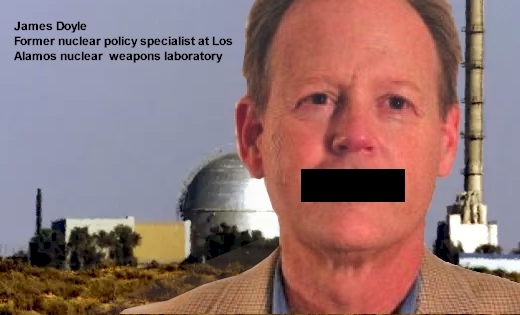 In 2012 the Obama administration promulgated a gag order in the form of a secrecy classification guideline – WNP-136 (PDF) – banning all federal agency employees and contractors from discussing, writing about, or releasing government information about Israel’s nuclear weapons program. When two agencies enforcing the gag order received a Freedom of Information Act request in 2015, they released WNP-136 only after redacting most of the content. Backers of the gag order hope to undermine informed public debate about nuclear proliferation in the Middle East, ongoing illicit transfers of know-how, material and technology from the US to Israel, to maintain a spotlight on Iran as the region’s nuclear proliferation threat as well as quell debate about whether the US is truly a champion of nuclear non-proliferation. But the overarching purpose of WNP-136, curiously titled "Guidance on Release of Information Relating to the Potential for an Israeli Nuclear Capability," is even more nefarious. The core objective behind WNP-136 is to perpetuate a single massive and ongoing violation of US law. Since the Symington & Glenn Amendments became law in the mid-1970s, all administrations have faced public pressure to explain why the US gives away the lion’s share of the foreign aid budget to a country has long been known to have a disqualifying secret nuclear weapons program. Now part of the Arms Export Control Act, the Symington and Glenn amendments demand special protocols for any US aid delivery to non-NPT signatory countries that traffic in nuclear weapons making technologies like Israel is known to do. 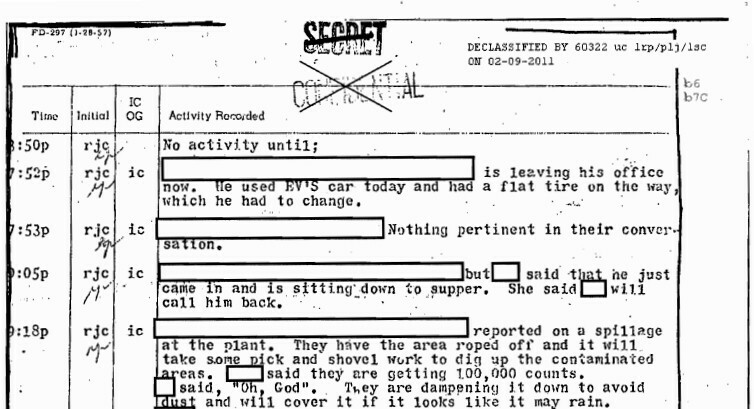 Recently released CIA files from another lawsuit reveal Senator John Glenn’s intense concern that the Israeli diversion of US nuclear weapons-grade uranium from Apollo, Pennsylvania was not handled with due diligence. Yet, under pressure from the Israel lobby’s campaign finance network, no administration has ever enforced Symington or Glenn’s required protocols toward Israel in publicly known or black-budget aid disbursements. Congress, subject to the same Israel lobby pressures, has similarly ignored its own law when passing massive annual aid giveaways to Israel, even though it has not amended the law to exempt (or retroactively exempt) Israel. One key backer of US aid to Israel, Senator Chuck Schumer, admitted to a reporter on camera that Israel has nuclear weapons. The New Yorker staff writer Adam Entous revealed on June 18 that four sitting U.S. presidents beginning with Bill Clinton signed secret letters agreeing never to publicly discuss Israel’s undeclared nuclear arsenal. According to Entous, President Trump’s aides felt "blindsided" by Israeli ambassador Ron Dermer’s urgent demand to sign a fourth letter. Only a small number of "senior American officials" in the previous three administrations even knew about the existence of such letters. Though said not to specifically mention Israel’s arsenal, Israeli leaders interpret the letters as binding American pledges not to publicly mention Israel’s nuclear weapons or press Israel to sign the Treaty on the Non-Proliferation of Nuclear Weapons (NPT). The letters add to growing evidence of a longstanding multifaceted executive and federal agency conspiracy to violate the US Arms Export Control Act on Israel’s behalf. Source: 2018 GAO report "US Foreign Aid to Israel," MOU commitments, inflation-adjusted, excludes black budgets. Israeli Prime Minister Benjamin Netanyahu – who has FBI-documented personal connections to Israel’s nuclear weapons program smuggling operations – was particularly concerned about newly-elected president Barack Obama. On February 9, 2009, veteran White House reporter Helen Thomas asked if Obama knew "of any country in the Middle East that has nuclear weapons." Obama dodged answering the question before finally replying that he didn’t "want to speculate." Speaking in Prague in April, 2009 Obama called for strengthening the NPT. However, by May 2009, Obama yielded to Israeli pressure and signed an updated version of the secret Israeli gag letter, according to Entous. 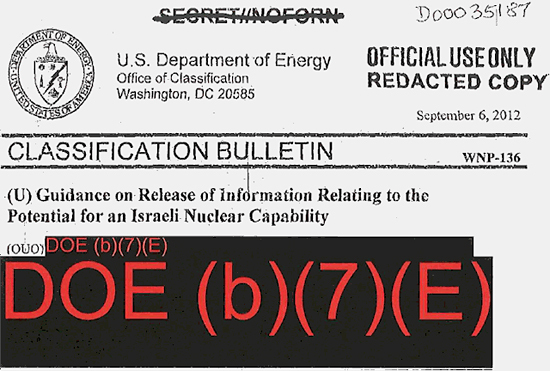 On September 6, 2012 Obama’s Department of Energy, in consultation with the Department of State, issued a secret directive called "Guidance on Release of Information Relating to the Potential for an Israeli Nuclear Capability," or WNP-136 making it a crime for any US government employee or contractor to publicly communicate any information – even from the public domain – about Israel’s nuclear weapons program. Report at Antiwar.com Audio version at YouTube. Podcast discussion audio from "Takes on the World" and "The Scott Horton Show"
Source: IRmep poll of 1,504 US adults through Google Surveys May 23-25, RMSE 5.5%. Raw data and demographic filters at Google. 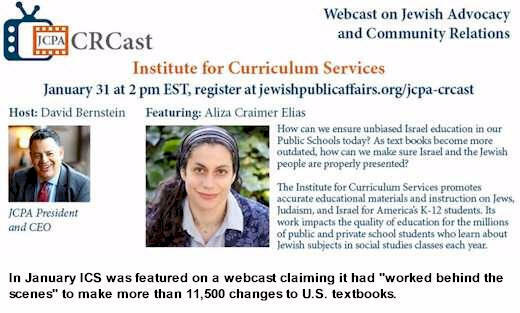 A consortium of state and national Israel advocacy groups has sent a detailed set of requested changes to textbooks and teaching guides used in the Commonwealth of Virginia. Classification bulletin WNP-136, which took effect on September 6, 2012, forbids covered persons from making any comment on U.S. government information or information in the public domain about Israel's nuclear weapons program. The classification bulletin was first used against former Los Alamos National Laboratory nuclear policy specialist James Doyle after he wrote the following sentence in an article titled "Why Eliminate Nuclear Weapons?" which had been security cleared by his employer and published by the International Institute for Strategic Studies. 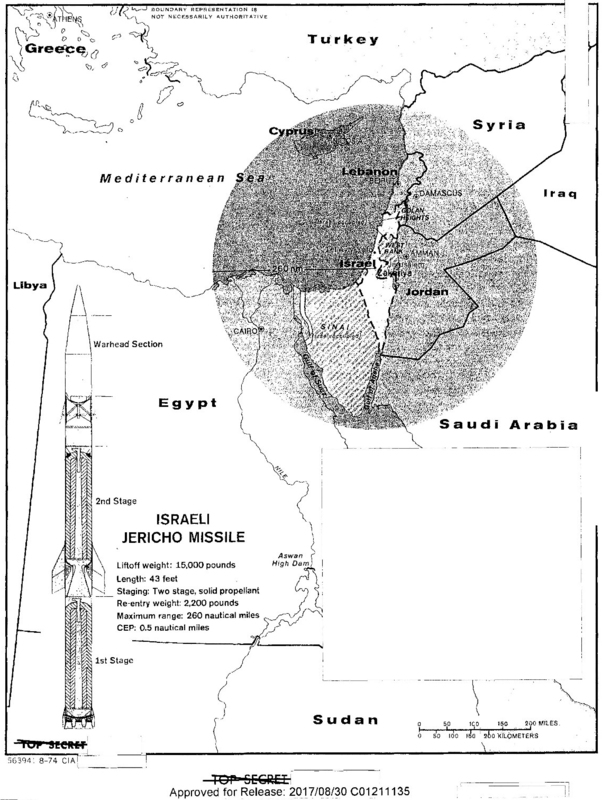 "Nuclear weapons did not deter Egypt and Syria from attacking Israel in 1973, Argentina from attacking British territory in the 1982 Falklands War or Iraq from attacking Israel during the 1991 Gulf War." After an unknown congressional staffer read the article and demanded a review, it was referred to classification officials for a second review. Doyle's pay was then cut, his home computer searched, and he was fired. Should Israel’s nuclear weapons facilities be inspected by the International Atomic Energy Agency? Where does Israel dispose of the toxic waste its program generates? Is the U.S. still vigorously investigating (though not prosecuting) diversions of materials and technologies to Israel, as it did in the past over nuclear triggers (The Milchan-Netanyahu krytron smuggling ring), weapons grade uranium (NUMEC), oscilloscopes and other weapons development technology diversions (Telogy LLC)? Are Israel’s nuclear weapons used to coerce the U.S. into making adverse policy decisions? Besides apartheid South Africa, has Israel offered any of its nuclear weapons for sale to other foreign countries? Has Israel mounted nuclear weapons onto its German-supplied Dolphin-class submarines? Also see C-SPAN2 full coverage of "The Israel Lobby & American Policy 2018"
The Trump administration threatened to end billions of dollars in US foreign aid to countries opposing recent US recognition of Jerusalem as the capital of Israel. On December 21, despite US threats, 128 UN member states voted to uphold long-standing international consensus that the status of Jerusalem can only be settled through a peace deal between Israel and Palestinians. An additional 35 countries abstained. Both Palestinians and Israelis want Jerusalem to be their capital. According to a poll conducted between December 22-January 2, the majority of Americans (56.6%) oppose using US foreign aid as a tool to coerce international recognition of Jerusalem as Israel’s capital. Question: The Trump administration threatened to end foreign aid to any country that condemned its recognition of Jerusalem as the capital of Israel. Do you approve of such tactics? The IRmep poll was fielded by Google surveys to 2,505 adult Internet users from December 22-January 2 and has an RMSE score of 7.6%. Demographic filtering and raw data are available online from Google. IRmep Director Grant F. Smith asks Anthony Cordesman of CSIS, who in 1986 told the LA Times that Israel had diverted US government-owned weapons grade uranium, if the U.S. has now lost moral authority in the nuclear non-proliferation arena.